Guys, Valentines Day is coming up so I thought I’d share a deal that one of my favorite watch companies is offering. 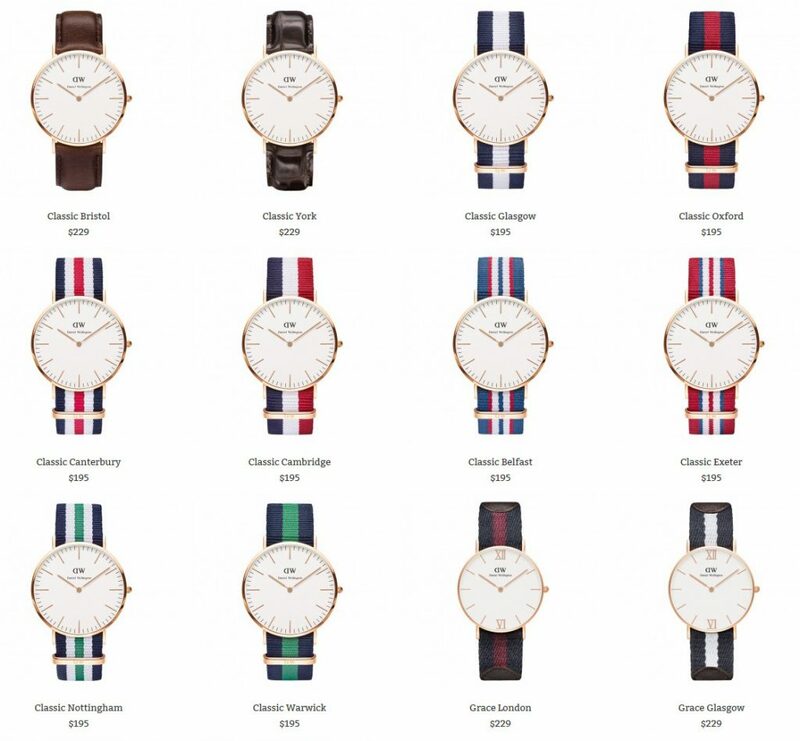 You can get 20% off one watch when you buy a ‘His & Hers’ set from Daniel Wellington. 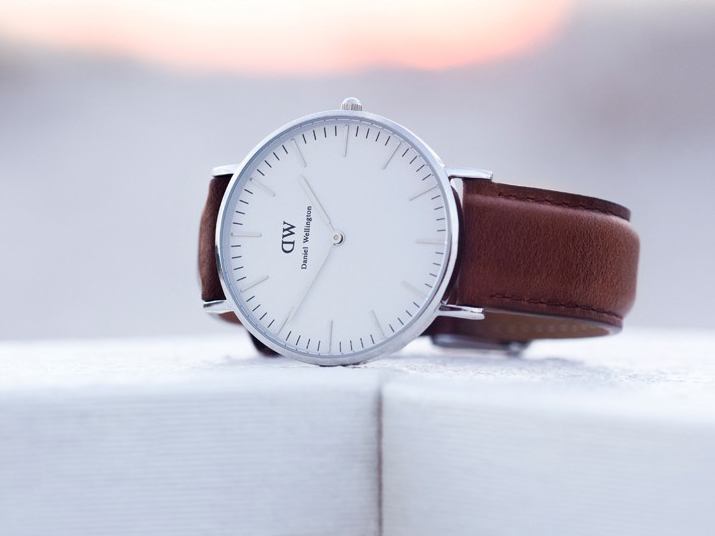 If you’re not familiar with Daniel Wellington, they make classic, elegant watches for both men and women. 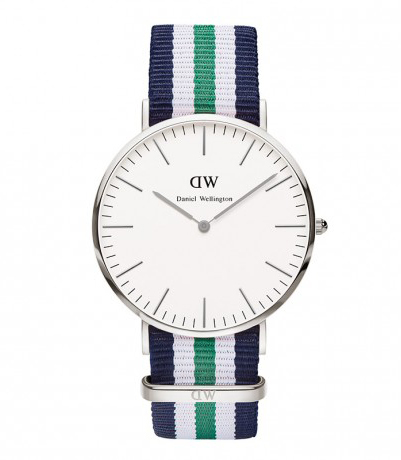 They’re a Swedish company and the watches are sophisticated, thin, timeless and lightweight. Not big and chunky with a lot of bling like a lot of trendy watches that’ll be out of style in a few months. Believe it or not, I first discovered them on Instagram. I kept seeing pictures of this beautiful watch, so I dug a little deeper, started following them and finally ordered one. Prices range from $195 to $229 for men and $135 to $229 for women. I have this one, the Classic Nottingham in silver, but you can also get it in gold. I have the strap shown below as well as a brown leather strap. They come with a wide variety of NATO straps as well as classic brown and black leather straps. The NATO straps interchange in seconds without having to pop the pins out. I’ve had mine for about 5 months and haven’t had any issues with it. It seems very well made and it’s easy to wear because it’s so lightweight. It’s thin (6mm) with a face diameter of 40mm. If you want to get a great watch for yourself as well as your significant other this Valentines Day, take advantage of the offer. 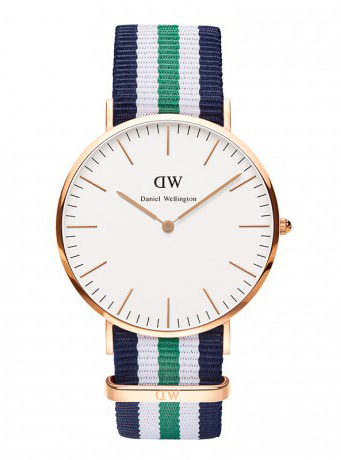 Further details at Daniel Wellington.